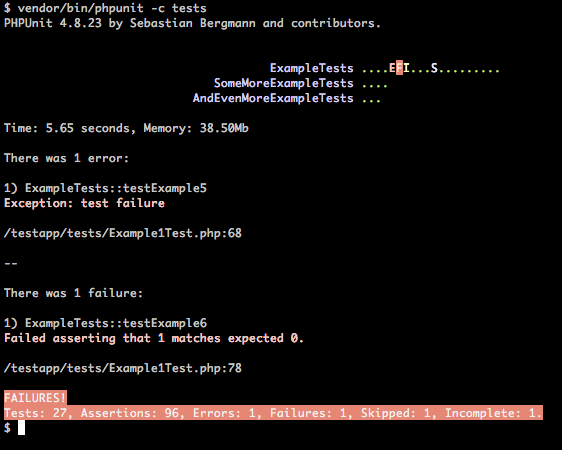 Want to be notified of new releases in diablomedia/phpunit-pretty-printer? 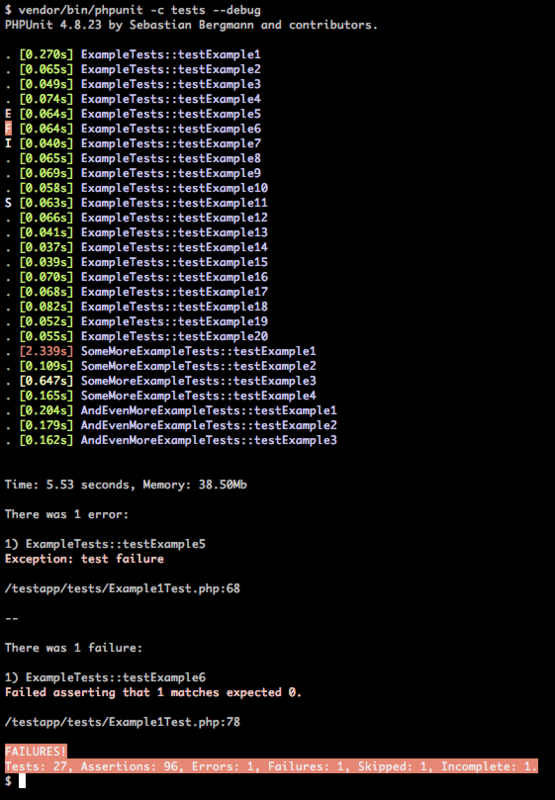 A PHPUnit result printer that shows per-file test progress and execution times. It's suggested to use the phpunit installed by composer. Inspiration for the default output was taken from https://github.com/adm-husker/kujira-phpunit-printer.